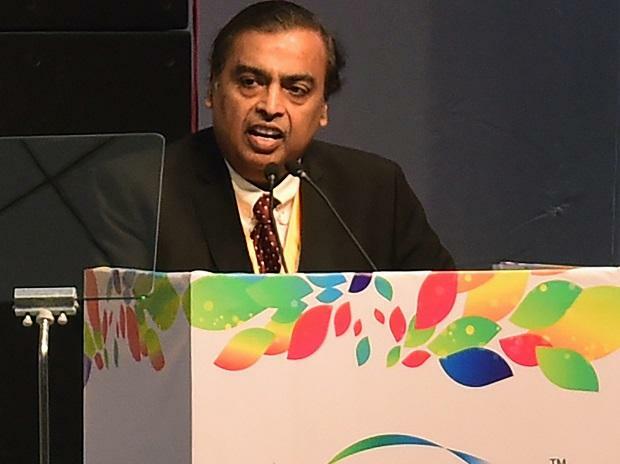 India's Reliance Industries will invest Rs 10,000 crore ($1.4 billion) in West Bengal, a part of which would fund the company's new e-commerce venture, its chairman Mukesh Ambani said on Thursday. The energy and telecoms conglomerate, which already runs retail stores, has announced plans to diversify into e-commerce at a time when India's new foreign investment curbs have dealt a blow to Amazon.com Inc and Walmart's Flipkart. The investment announcements also come as a boost for the state's chief minister, Mamata Banerjee, who has in recent weeks rallied regional parties and the main opposition Congress to forge an alliance to beat Prime Minister Narendra Modi in upcoming elections, which must be held by May. Ambani's so-called "new commerce" venture aims to connect small merchants with his retail network and warehouses, helping them better manage their inventory. It already has more than 500 retail stores in the state, selling everything from clothes to groceries, and the new plan would "increase manifold" its warehouse space in the next 24 months in West Bengal, he said. The new e-commerce platform "will bring win-win benefits to consumers, retailers and producers" and help 30 million small shopkeepers, Ambani said. The billionaire businessman has been more vocal about his e-commerce plans after India in December imposed new restrictions on how foreign companies operate in the e-commerce sector. The new rules, which kicked in on February 1, have disrupted product listings on Amazon.com's India website. Addressing a business summit in West Bengal's Kolkata city, Ambani also said he plans to expand the reach of his telecom services in the state and swiftly open a data centre which would be "as good as the ones in Silicon Valley". "There is no area of the economy, governance or life which is untouched by the revolutionary potential of digital technologies," Ambani said.